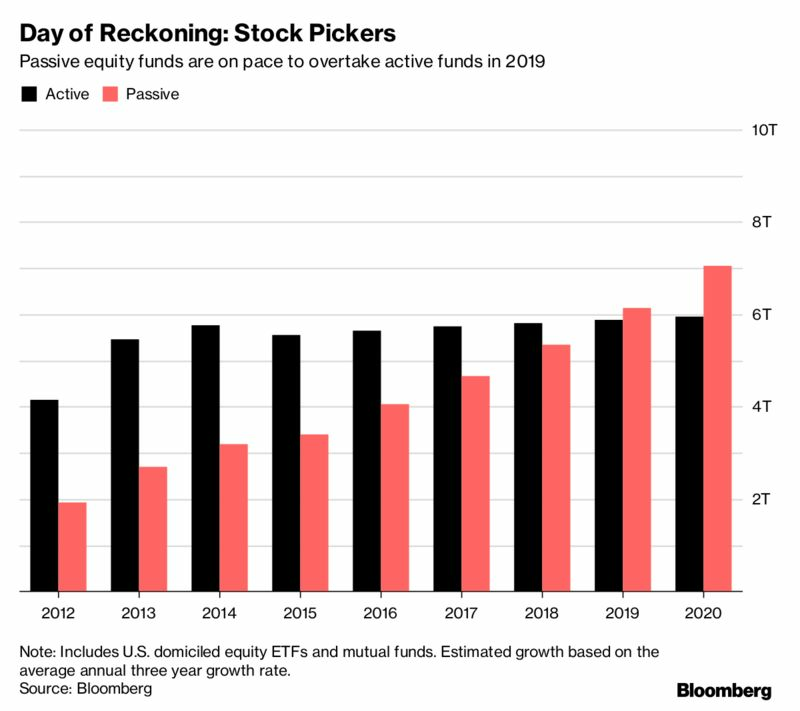 In 2019 stock pickers, who once beat markets with their gut instinct and appetite for risk, will be relegated to second place in the minds of investors if money continues to flow into low-cost index funds at the current pace and the market doesn’t crash. 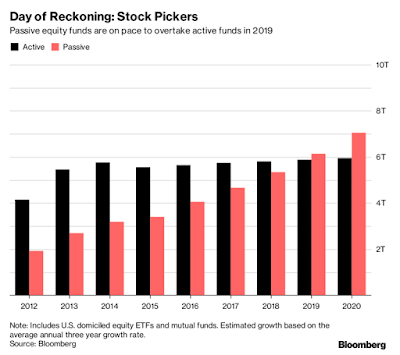 There’s plenty of blame for this turnabout: flinty investors obsessed with fund expenses, the surge in exchange-traded funds and active managers falling short of their benchmarks. 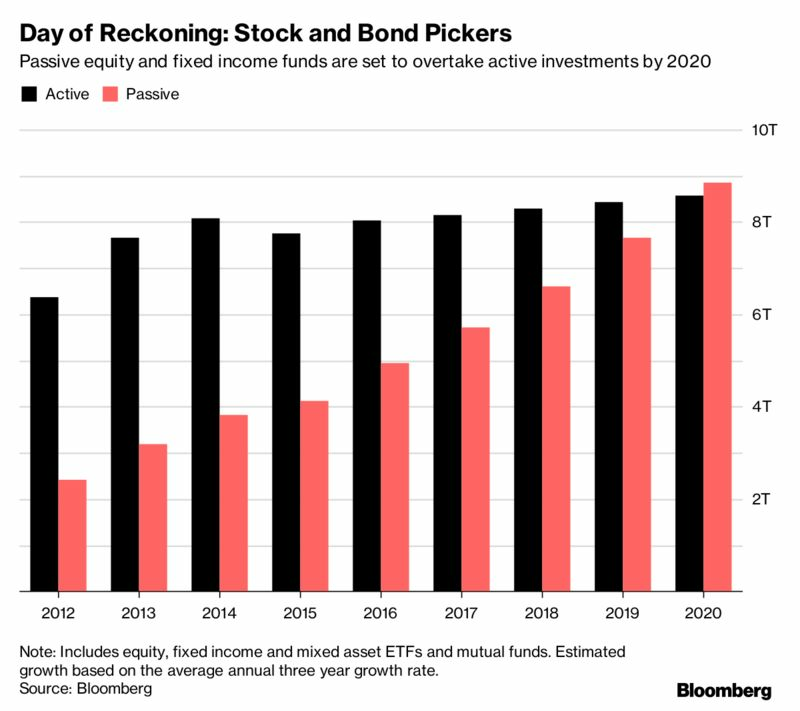 It will mark a turning point forever etched in the minds of U.S. money managers: the year passive overtakes active investments. That moment is coming, according to calculations by Bloomberg News. The charts below tell the story. When we add fixed-income funds domiciled in the U.S. to our equity calculations, passive surpasses active investments in 2020. See below. It’s all about fees. 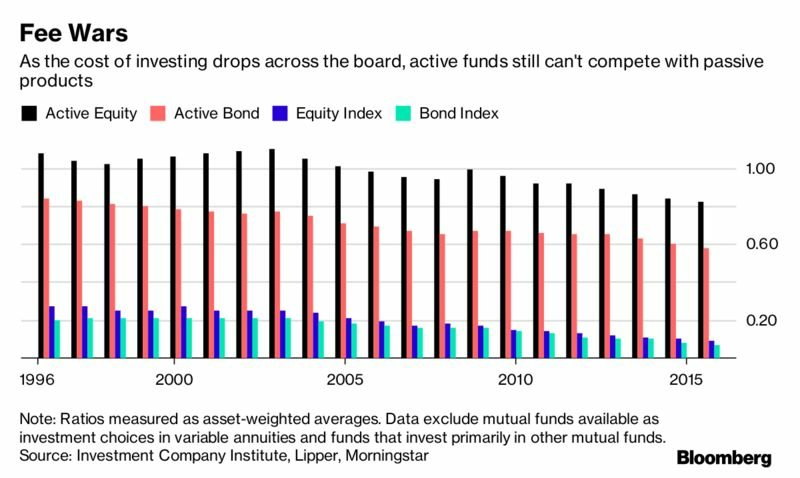 Even as fees fall, active managers still charge so much more than indexers that they can only win clients with great returns. And that’s not enough for some investors, who are pulling money from active managers with abandon. U.S. active equity funds have suffered outflows every month this year through October, according to ICI. Along came ETFs, which are almost always cheaper than similar mutual funds. 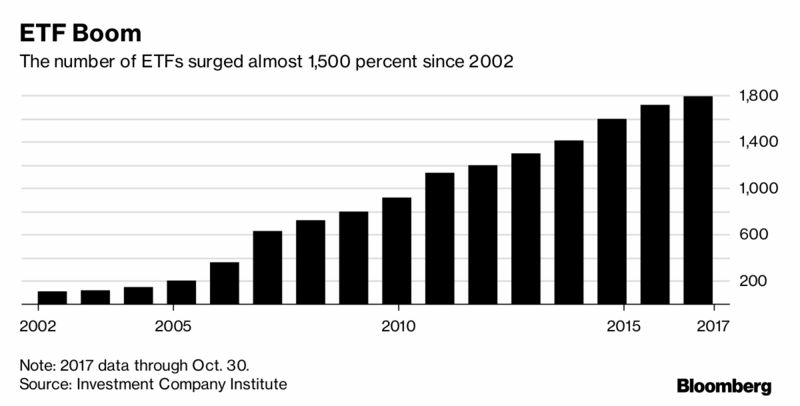 There were about 100 ETFs in 2002. Now, with almost 2,000 in the mix, investors have plenty of alternatives to actively managed funds.